If you just got arrested for a DUI, a lot of things might be racing through your head. Here are the first 5 things you should do right now. When and where were you stopped? What reason did the officer give for your stop? Was a breath test administered? If so, with what device? What did you tell the officer about what you had to eat or drink? Take some time to write down everything you can remember from the stop. You’ll thank yourself later. Remember the phrase “anything you say can and will be used against you in a court of law?” Well, in this era of social media, anything you post online can and will be used against you too. Prosecutors often scour social media sites like Facebook or Twitter looking for incriminating photos or posts to use against DUI defendants. Presented out of context, these public materials can damage your reputation enough to turn a jury against you – even if you’re innocent. Don’t give the other side this ammunition. Check your privacy settings to see what you would like to share and with whom. We cannot advise you to delete posts or pictures. Talk to your friends, family, and acquaintances – especially if they saw you right before, right after, or even during your stop. Ask them if they would be willing to testify on your behalf in court. Witnesses can go a long way to strengthen your defense, so gather as many as you can. The most important decision you’ll make for your DUI case is which lawyer will defend you in court. 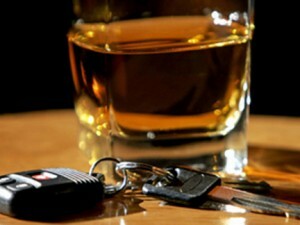 The expert DUI attorneys of The McShane Firm are the most qualified, most highly trained DUI attorneys in Pennsylvania. They specialize in professionally aggressive representation and vow to fight aggressively for your case, your license, and your rights. We’re not going to tell you not to worry about it. You will and you should. We are going to tell you to get prepared and get the best legal representation you can. Your DUI case is likely among most stressful events of your life. No matter the facts and circumstances or the eventual outcome, a DUI charge is a life changing event. It’s natural to obsess over the consequences and the outcome. An aggressive DUI lawyer – like the attorneys of The McShane Firm – will fight for you case, and can take much of the stress and burden off your shoulders. If you’ve completed these steps, you’ll be well on your way toward defending your DUI case. Thanks for sharing this article. I think this a very useful write up and it gives an idea of how to react when you are charged with a DUI. An efficient DUI Lawyer can save you from DUI cases. For hiring a DUI lawyer contact -Ticket Clinic’s http://floridaduilawyer.net has most experienced DUI attorneys in Florida.